Bound together in our Roman Catholic faith, the staff, teachers, and parents of St. Theresa School and Parish are committed to providing a superior quality education founded in love and Christian faith. We strive to nurture and develop students to become academically sound, strong in character, inclusive and socially responsible, and equipped to be lifetime followers of Jesus Christ, in whom they will find purpose and joy. The primary purpose of St. Theresa School is to create a community where human culture and knowledge, enlightened and enlivened by faith, are shared among students, teachers, and parents. 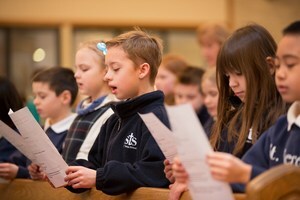 Working together, teachers, students and parents strive to create a warm, nurturing environment where students will emerge with a disciplined, positive image of themselves, respecting their own and others' uniqueness and developing a mature, active faith life. 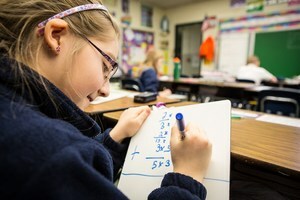 The essence of our school is to encourage our children to embrace the values and traditions of the Catholic faith and integrate them with the continued pursuit of academic excellence.